I know I tend to go on and on about the events in Montclair – the Montclair Film Festival, Taste of Montclair, the YMCA 10K and Family Fun Run. Even the weekly Farmers Market feels more like a social happening than a produce-buying excursion. All of these popular gatherings started up since I’ve moved here. 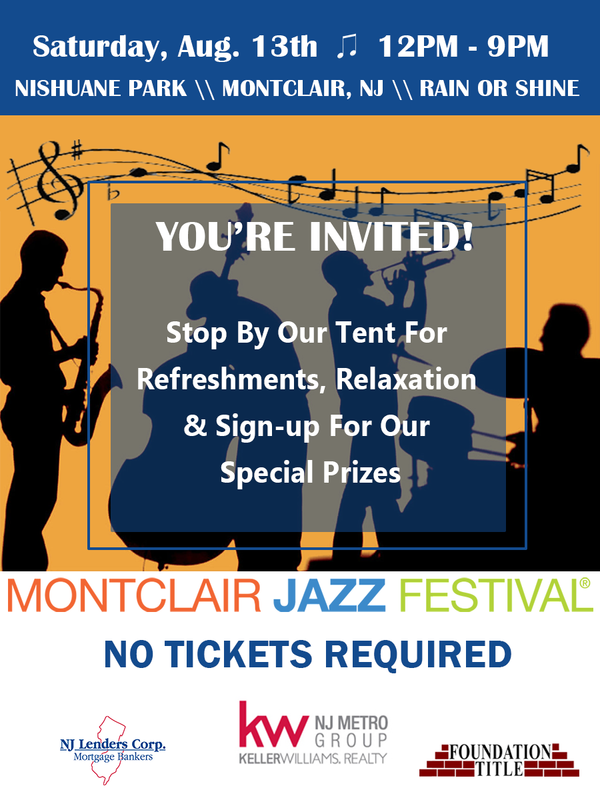 But it feels like the one that’s grown the most is the Montclair Jazz Festival. August can feel so quiet in Montclair, with so many families off on vacation. But on the day of the Jazz Festival, people seem to come out of the woodwork. This free event began seven years ago, an outdoor sampling of jazz performances where people tossed a blanket on the grass and soaked in some sun and some great music. Back then, 300 people showed up. Last year there were 10,000! 4:45 p.m. - Dynasty Big Band featuring Louis Prima, Jr.
5:15 p.m. - Jazz House Big Band featuring Louis Prima, Jr.
Come and go. Bring a cooler. There are shuttles from parking and plenty of grass for lounging. Cool music on a hot day with a cold beer. It really doesn’t get any better.